Glenn McCormick is a 1977 graduate in physics from the U.S. Naval Academy and holds a masters degree in System Management from the University of Southern California. He served as a fighter pilot in the U.S. Navy and Naval Reserve, fighting the F-14, A-4 and F-5 aircraft for 16 yrs. He also spent an overlapping 16 yrs flying 767’s for American Airlines. 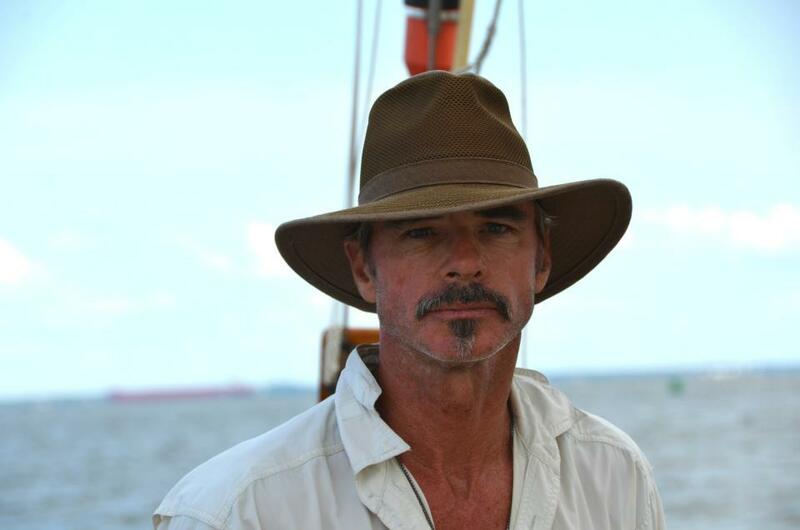 Since 1987, Glenn has been the proud Captain and Owner of the 1930’s Schooner Mistress, originally built for George Roosevelt, President Teddy Roosevelt’s nephew. When not maintaining his Mistress, he can be found looking for a local Aikido dojo, attempting to teach himself viola, or writing political manifestos and other musings–otherwise known as a free writer without a lance. Julie Muller Stahl McCormick is a veteran of the dance world in which she made her mark under the watchful eye of Twyla Tharp, and earlier Elliot Feld. A Manhattan-ite for over 20 years, she escaped to Key West in 2009. Soon thereafter, she was pirated aboard the good Schooner Mistress and brought some much need order to the mayhem. Captain and Mate were wed in June 2011. Just a Happy Birthday…was in NC picking property for new home. Lots of fair sailing! It was nice meeting you today. Have safe trip back to the Keys. Hello fellow sailors! Viki here from New Zealand. Happy to stumble upon your blog. I look forward to following your adventures! Love connecting with other sailors out there! Perhaps someday our paths will cross … New Zealand might not be on our charts right now, but one never knows! Congratulations on winning the anchor and sailing off to ports known and unknown. I wish you fair winds and following seas. Thanks Rod. It’s about time yeah?! We wish you & your “bride” a happy future! His time is now mostly dedicated to the joy, and blissfull happiness he intimately shares with his very intelligent, humorous,feisty, and extremely beautiful future “bride”. Monk is often heard muttering’ I don’t know what I did but it would appear God does not dislike me as much amd maybe even approves!